Are you frustrated or confused about something people are calling “normal stuttering” or “normal developmental stuttering”? If so, then this episode is for you! Nan Bernstein Ratner tackles the question, what is stuttering? 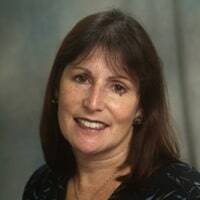 Nan Bernstein Ratner, Ed.D., CCC-SLP, BCS-CLLD is Professor in the Department of Hearing and Speech Sciences, University of Maryland, College Park. She is a Fellow and Honors recipient of the American Speech, Language and Hearing Association (ASHA). Dr. Ratner is author of numerous articles and chapters addressing language acquisition and fluency and co-author, with Oliver Bloodstein, of A Handbook on Stuttering (6th edition) – one of the most respected and cited stuttering texts of our time. Dr. Ratner is a much called upon adviser to StutterTalk. By: stuttertalk Category: what is stuttering Tags: Nan Bernstein Ratner, Peter Reitzes, stuttering, what is stuttering?